Head over to the FreeRADIUS site, http://www.freeradius.org/, and download the latest release. You can pass options to configure. Use ./configure –help or read the README file, for more information. The binaries are installed in /usr/local/bin and /usr/local/sbin. The configuration files are found under /usr/local/etc/raddb. If something went wrong, check the INSTALL and README included with the source. The RADIUS FAQ also contains valuable information. FreeRADIUS has a big and mighty configuration file. It’s so big, it has been split into several smaller files that are just “included” into the main radius.conf file. 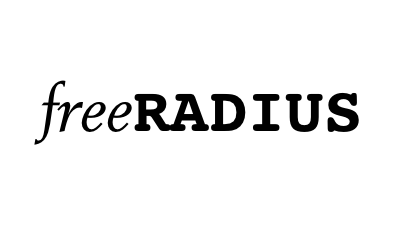 There is numerous ways of using and setting up FreeRADIUS to do what you want: i.e., fetch user information from LDAP, SQL, PDC, Kerberos, etc. In this document, user information from a plain text file, users, is used. The configuration files are thoroughly commented, and, if that is not enough, the doc/ folder that comes with the source contains additional information. Open the main configuration file radiusd.conf, and read the comments! Inside the encrypted PEAP tunnel, an MS-CHAPv2 authentication mechanism is used. # under MODULES, make sure mschap is uncommented! # for how to do this. # access point) and the Authentication Server (RADIUS). The eap.conf should also be pretty straightforward.